It’s no secret that we love families at Big White. With a huge range of on-mountain activities, events and amenities that are designed especially for families to have a safe, convenient and fun vacation, it’s the ultimate spot for the perfect holiday. We’re also family owned and operated, so you’ll rest assured knowing that every element is designed perfectly for families – by families. Here are 8 reasons as to why we’re so well-known as Canada’s Favourite Family Resort. 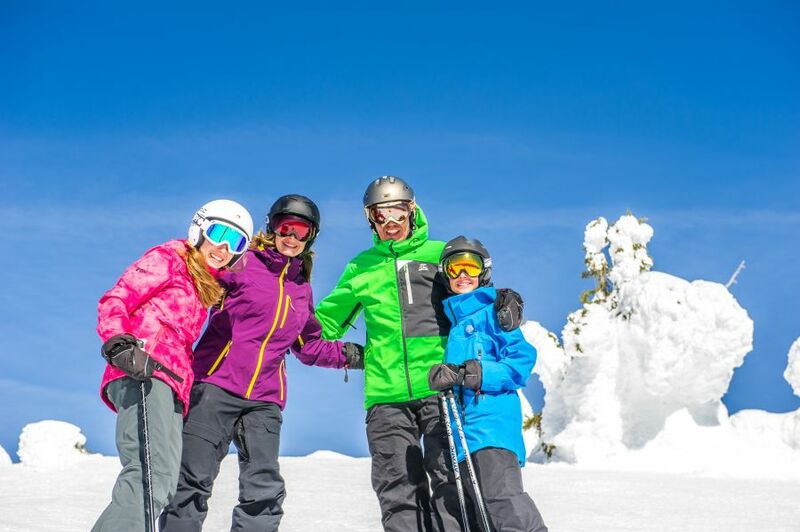 Voted best in the Okanagan, we treat everyone as family at Big White, with family pricing applied to all season pass rates, making them the best value in the Okanagan – regardless of how many people are in your family! Early bird prices for adult passes are just $669, with youth passes coming in at $419 and child passes $249 (not including tax). Tots under five are just $25. Buy your pass and benefit from all the inside edge passholder discounts available with a Big White Season Pass, including 50% off group lessons vouchers available to purchase until October 14, and free night skiing, skating, snowshoe trail access and Nordic trail access. Our Season opens Thursday, November 22nd with the lifts spinning until Sunday, April 14th, 2019 for the longest season in the Okanagan! Unfolding our mountain trail map, you’ll discover 118 runs, 15 lifts, 5 alpine bowls and TELUS Terrain Park. With a green run from every chairlift and a wonderful learning area, it’s family-friendly for kids learning how to ski and adults accompanying them. But intermediate and advanced skiers and boarders will also have a great time on the mountain – our vast terrain creates a natural thrill, and they can ride everything from smooth groomers to trees, bumps and powder. Our 15 lifts create Canada’s 2nd largest lift system, giving you more time on the slopes rather than waiting in lift lines. Let’s not forget about night skiing, which kids love to do at Big White. 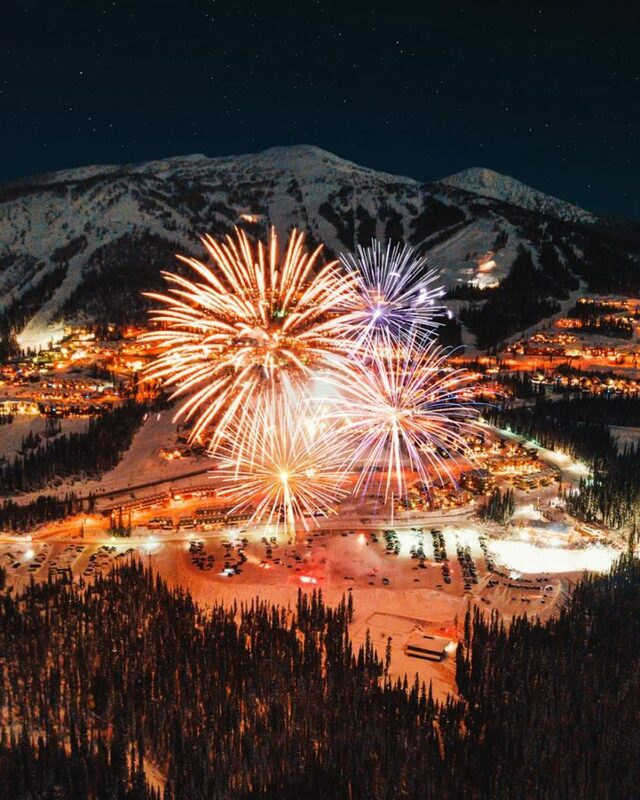 With a night lift capacity of over 5000 people per hour, we’ve got the longest vertical drop (596 meters) of all night skiing areas in North America! There’s a world of mountain fun at the Big White Kids Centre. Having been voted ‘The Best Place To Be Abandoned By Your Parents’ by UK’s Telegraph Magazine, they’ll love everything from the fresh meals to the rock-climbing and Lego table on offer. There are plenty of programs available for every level of skier and snowboarder. If you’re staying up on the mountain, you can even arrange for our Kids Centre staff to come and pick your children up from your accommodation in the morning for their lessons, leaving you more time to get out for first lifts… or have a bit of a sleep-in. 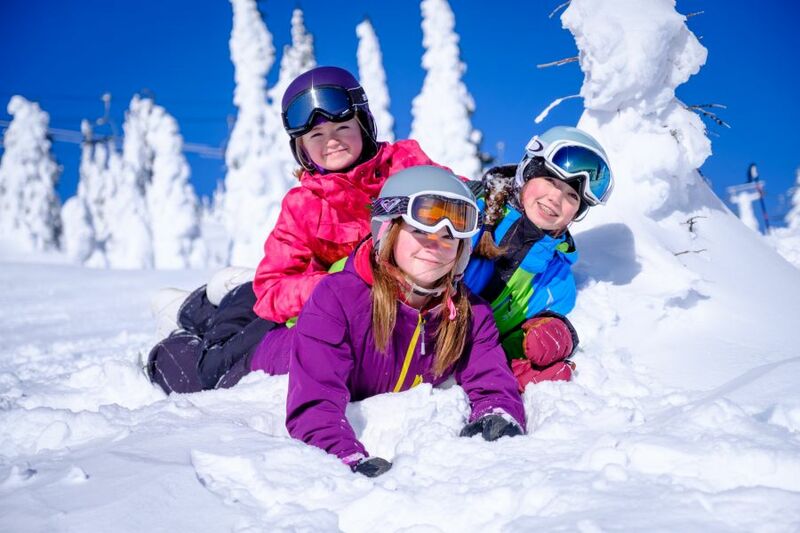 Big White offers family-friendly activities and events for all ages, just steps away from your accommodation every day! Enjoy daily live après entertainment in Happy Valley, go ice-skating, play hockey, try tubing, or gather around the bonfire to watch the fireworks. Don’t forget about our regular schedule of free weekly events – kids (and kids at heart) will love watching the weekly fireworks, checking out bingo night, and getting their face painted at our Carnival Nights. At Big White, “It’s the Snow” is our motto – and you’ll see why when you arrive in resort. With over 750cm of light, dry, fluffy powder falling annually, our mountain is a true winter wonderland. Come and ski or ride in the world-famous ‘snow ghosts’, our frosty, snow-caked trees; wander through the Village and take in the mountain views while enjoying a cup of warm coffee; or go on a snow adventure in Happy Valley, whether it’s snow-shoeing, tubing or a dog sled or horse sleigh ride through the wintry forest. The best part? Come for a skate on Canada’s highest ice skating rink – it’s free to access! It’s surprisingly easy to get here. 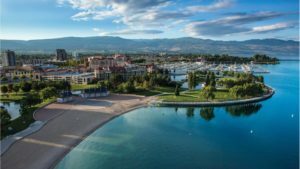 The mountain is located just 55 minutes from the heart of Kelowna, and there are three parking lots available on the mountain at Gem Lake, Happy Valley and Black Forest, with a day lodge also located at each parking lot. 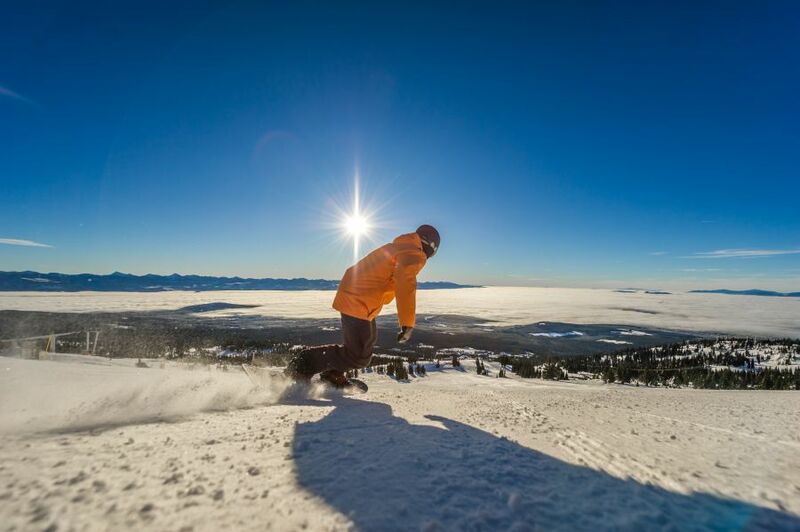 The whole world travels to experience Big White, and Kelowna is super lucky to have it right in the backyard! With 19 on-mountain restaurants, cafes, delis, pubs and nightclubs, there’s no shortage of places to relax or replenish your energy level when it’s time for a break. 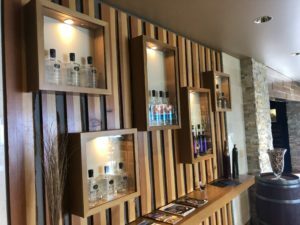 And you’ll find kid-friendly options everywhere, whether it’s daily après at Happy Valley with free popcorn, hot chocolate and colouring for the kids or a build-your-own-pizza option at The Bullwheel. 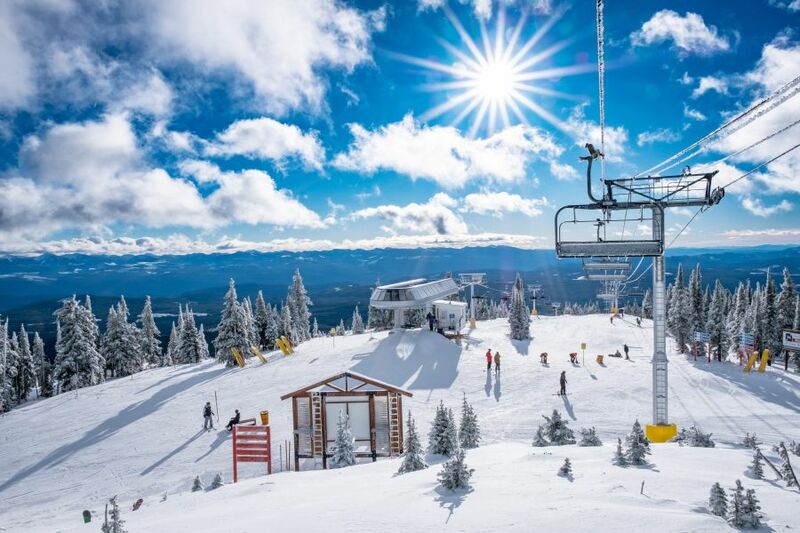 Resort developments this year include a brand new Powder Chair, a four-passenger fixed grip Leitner Poma lift which will replace Canada’s oldest and most popular triple chair at a cost of $3.9million. The new lift will increase upload capacity to 2,400 passengers per hour, allowing more skiers and snowboarders to enjoy the amazing terrain on the Powder Chair. We also have a brand new skier tunnel, which is 60 feet wide and will accommodate increased skier and foot passenger traffic. Plus a whole range of other developments across food & beverage, summer grooming and maintenance! Find more details about all of the above at bigwhite.com.